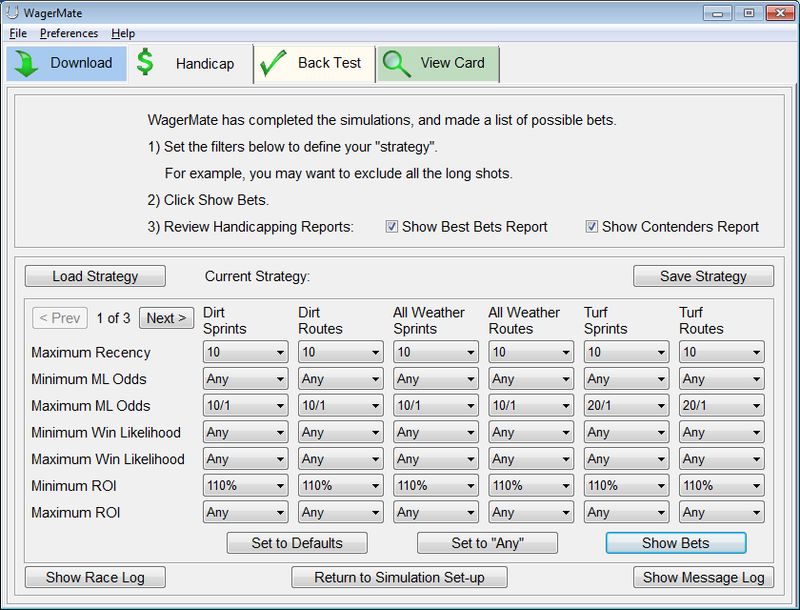 WagerMate® uses sophisticated modeling technology to handicap thoroughbred horse races — but it uses a very simple user interface to let you control that technology. 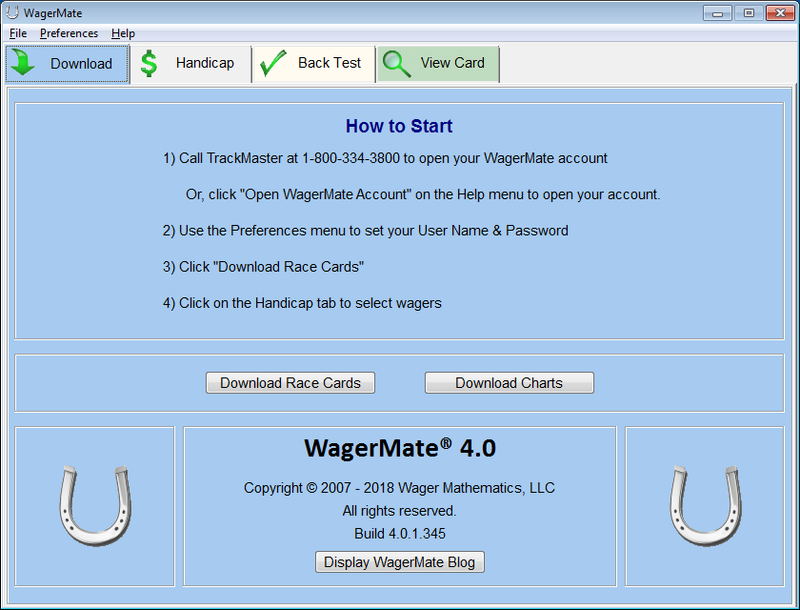 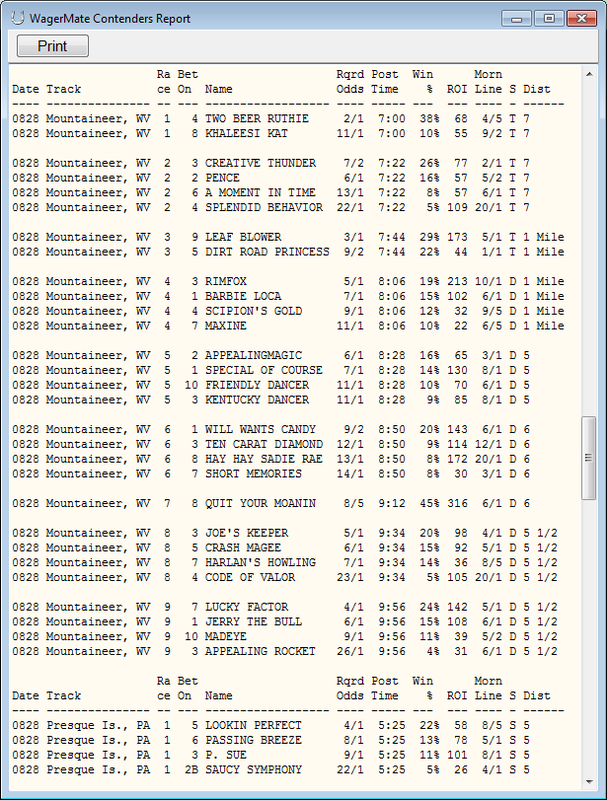 Go to the TrackMaster website to download the WagerMate handicapping software and open an account (in order to download the Race Cards and Charts that WagerMate needs). 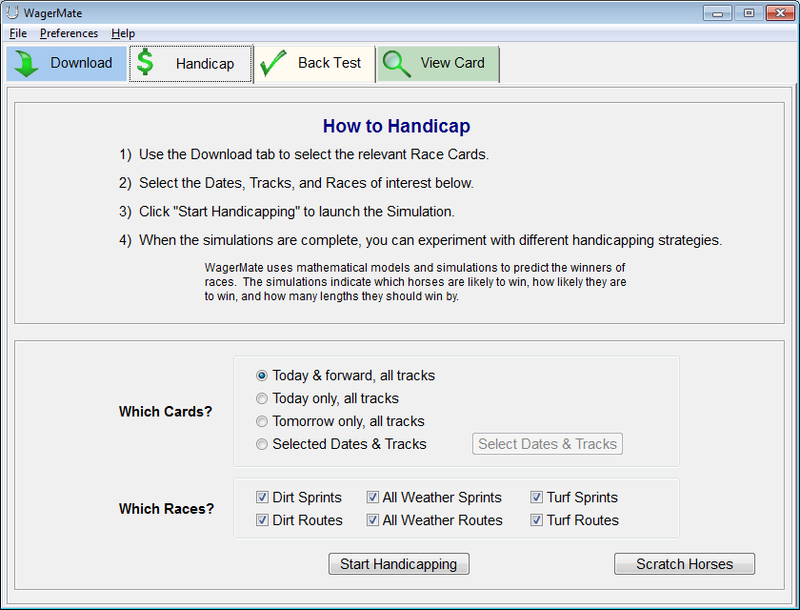 … collect data, and improve your filters.